Business trip or winter sports getaway? You are in the right place! 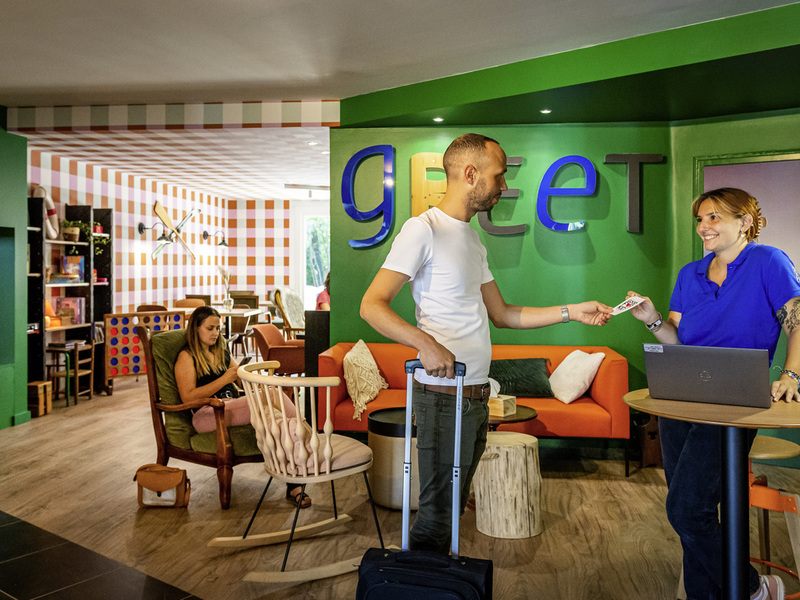 Located less than 10 minutes from the old town, 40 minutes from Geneva and 30 minutes from major ski resorts, the ibis budget Annecy hotel is happy to welcome you 24 hours a day. On the outskirts of the town of Annecy, the ibis budget (formerly an Etap Hotel) is situated 2 miles (3.2 km) from the city center and 6.2 miles (10 km) from the lake; in winter, you can reach the ski slopes in less than an hour. The château d'Annecy and the Gorges du Fier are less than 5 mins away; choose this affordable hotel set in green surroundings, with rooms offering free WIFI and air conditioning. Podia ser melhor, parque de estacionamento com muito pouca luz, tivemos de fazer a cama do triplo, não e normal nem aceitável. Funcionários simpaticos Os quartos eram aceitáveis Restante de qualidade normal.